Since the dawn of the humanity, men tried to create light and chase away the darkness. In that endeavor, he came a long way. Evidences of the first lamps used by early humans date back to 70.000BC. They were of simple structure - just a shell or a hollow rock, which holds piece of moss soaked in animal fat that burns with a flame. Since those times, people used other materials for a body of the lamp - terracotta, marble and metal and instead of fat, oil was used (fish and olive oil). Wick was also often added to prolong burning of the flame and to focus it. 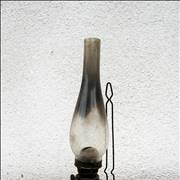 Oil lamps were the most widespread method of illumination until the end of the 18th century. 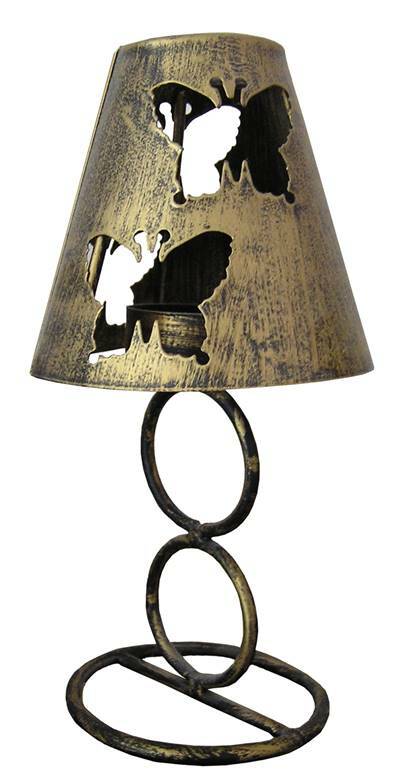 As the time passed, and new energy sources were discovered, new kinds of lamps were invented. 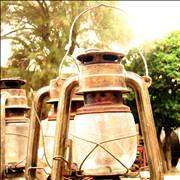 In the 19th century, the kerosene lamps were introduced in Germany. 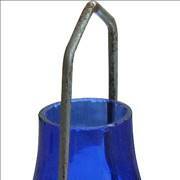 It was a container with a kerosene in which wick or mantle was dipped that burned. Container had glass chimney or a globe, which protected flame from a draft. Last decades of the 18th century saw the first commercial use of coal gas for lightning the house. Coal gas was transported to the place of consumption by pipes and led into the lamps. In the early 19th century, most of the cities in the Europe and United States have their streets lit with gas light. Long battle against the night is marked with great inventions in artificial lightning. Some simple and basic, some complicated and lucky they all gave us lamps that we have today so we don’t have to consider darkness as our enemy any more. 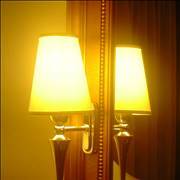 Find here more information about history of lamps. 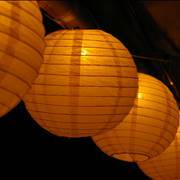 When in need for a portable light source - lanterns are a good solution. Some of them have esthetic qualities and some of them even spiritual. 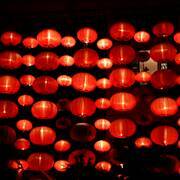 Read more about history of lanterns. Then comes one of the greatest inventions of human history - electricity and electrical lamp. In 1801 Sir Humphrey Davy invented the first electric carbon arc lamp by connecting two wires to the battery and attaching a charcoal strip to the other end of the wires making charge carbon glow. Again primitive, it needed perfecting and during the 1870s, both Thomas Edison and Sir Joseph Swann invented electric incandescent lamp independently (Edison by improving the 50 year old patent). It worked when an electric current was passed through a filament, which heated and produced light. These lamps lasted short by modern standards and were inefficient and fragile, but were a giant leap forward and a good base for what came after. Electric bulb was improved in 1920 when a carbon filament that was used until then is replaced with tungsten and a space inside a bulb is filled with a gas, which reduced evaporation of tungsten and with that prolongs the life of a lamp. 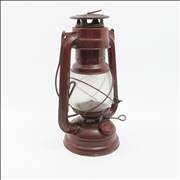 Some of the other type of lamps that were stepping-stones in the development of electrical lamps are fluorescent triphosphor lamps, metal halide, high-pressure sodium lamp and dichroic extra low voltage lamp. Advancement in technology of electrical lamps is ongoing, and today, we produce many kinds of lamps with various materials, power sources, color of lights and for different usage. Neon and fluorescent lights are very popular in both industrial and home uses. Mercury lights are, because of their color, efficiency and life, used for stadiums, factories and for streetlight.